Scores of mourners in traditional African wear filled the Nelson Mandela Park in St Clair on Thursday to pay their final respects to former police officer and pan-Africanist Esmond King, who died at 75 from heart failure. Close to 500 mourners, including relatives, friends, former police colleagues and followers packed seats under tents for a colourful funeral ceremony officiated by Orisha priests and chiefs. 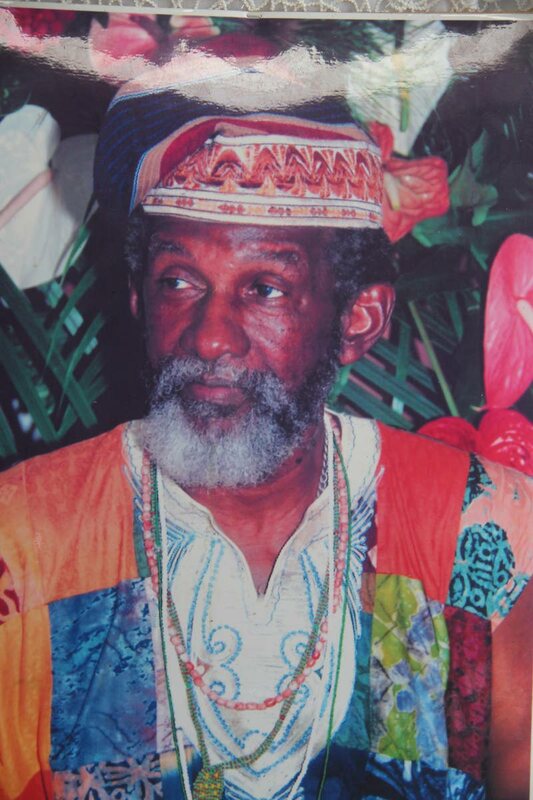 King, also known as Chief Alaagba Erin Folani, was described as a pivotal figure in the 1970s Black Power Movement and also instrumental in the renaming of the King George V Park toNelson Mandela Park in 2014. 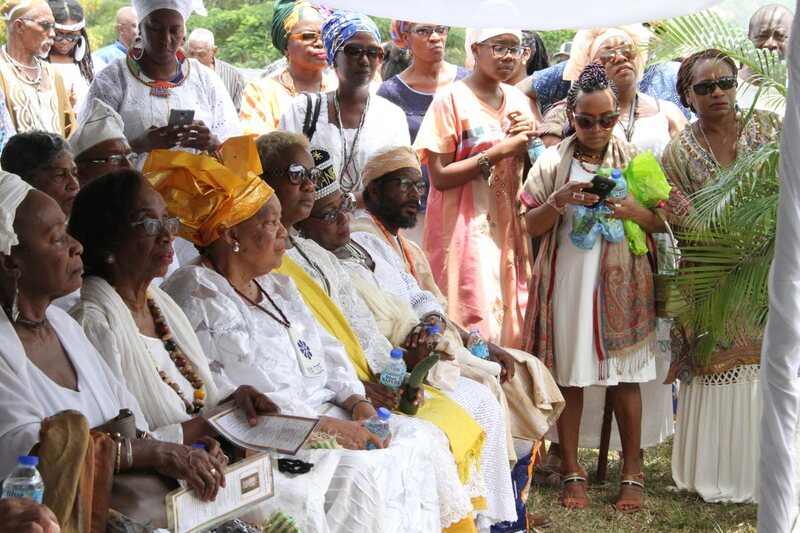 King’s niece Nzinga King delivered an emotional tribute to her late uncle yesterday, recalling the times spent with him and the knowledge he imparted to her and her siblings. Noting her uncle’s widespread popularity, King said he was authoritative but fair, respectful and well-loved by all. “We were unable to go anywhere, whether it be local or foreign, without someone stopping to talk to him. They had a reverence for him that was always aweing to us. King was interred at the Lapeyrouse Cemetery after a brief funeral procession from the park. Reply to "Orisha priest laid to rest"